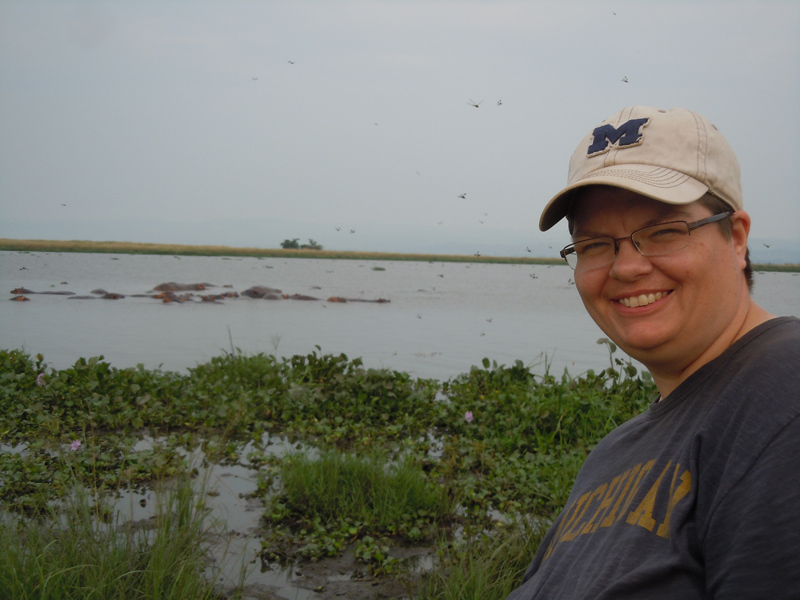 I’m a library science student at the University of Michigan and I was able to do not one, but two international internships in the summer of 2012. The first internship was four weeks in Singapore at the National University of Singapore working on information literacy. I helped revise their information literacy program for advanced high school students. 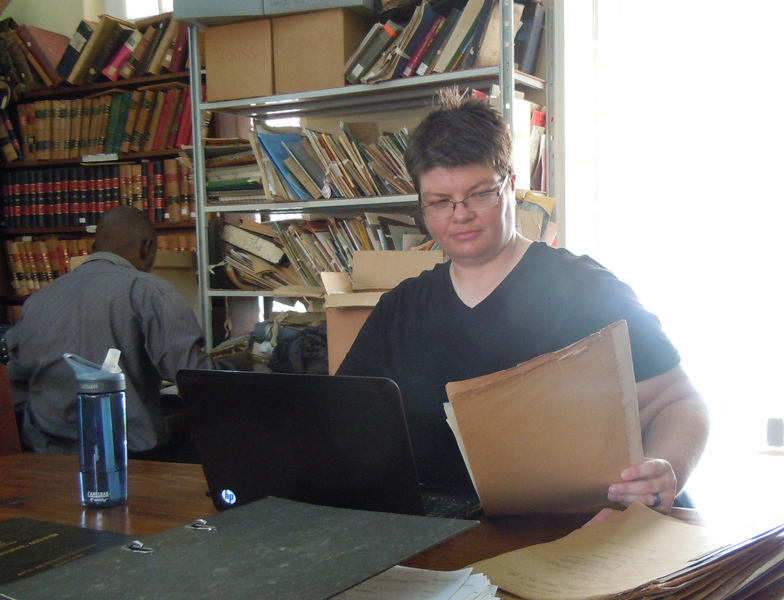 The second internship was at the Uganda National Archives in Entebbe, Uganda where I was part of a team cataloging a previously un-cataloged collection. This archive holds a lot of material and cataloging the collection will change the face of scholarship on Uganda worldwide. Both internships were really exciting and quite different from each other, which made for a pretty wild summer. 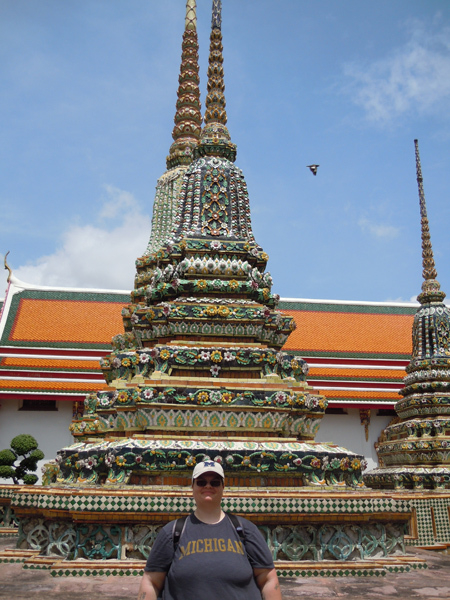 While doing both internships, I also took the time to travel on weekends; I went to Thailand, Malaya, on safari in Uganda, and, on the way home, Belgium and Netherlands. I created a concise introductory email with a few places left open to insert information specific to the organizations I was sending them to. I had the email proofread by multiple people and then I started to send it out. I kept a comprehensive spreadsheet of places and countries that I sent it to so I could track who responded, when, and their responses. I think what made me successful was not only my previous work experience, but also my determination. I didn’t let negative responses slow me down, and I set concrete goals like “Send out 20 emails per week.” Once the National University of Singapore started to engage with me, I let them know about the variety of things I could do for them, and asked what they needed help with. The same was true of the Uganda National Archive. I wasn’t afraid to sell myself and adapt my outlook to their needs. I went to the Uganda National Archive to do cataloging of a single collection, but I ended up not only working with the team from the University of Michigan but also cataloging a microfilm collection, helping to create written policies, and developing a temperature/humidity monitoring program. I know without a doubt that I made a huge difference to the archive and have helped make the archive more accessible through all of the work that I did, both on my own and with the team. Being treated as a professional and knowledgeable in my field really made me feel confident in my work. Patience! I’ve lived abroad before but being patient, especially with language barriers, was especially important for every place that I went. I reminded myself constantly that I was a visitor in the culture and that even if I felt there were better ways of doing things, it was important to understand that how things were getting done was what was best for the people there, not what was best for me. For example, there were several moments where I just wanted to get information from the Internet, but the reality was that by doing so I was skipping over several people whose job it was to find that information. I was being rude by doing certain jobs on my own. I also kept a journal and a blog. The journal was a safe place for me to vent my frustrations when I had them and the blog was to not only let friends and family know how I was doing, but also to keep a record of the experiences I was having. I look back on my blog now and think “WOW!” I can’t believe I saw and did those things! How did you communicate in your two host cultures? There were certainly a lot of differences between Singapore and Uganda in regards to communication. In Singapore, people regularly spoke in Singlish (Singaporean English), which I mostly couldn't understand. There were also many other languages spoken including several flavors of Chinese, Malay, and Tamil. The same could be said of Uganda. Most people speak English in Uganda, as well as Luganda, and then their home language. Whereas I was able to mostly understand people talking in Singlish by the time I left Singapore, I had a consistently hard time understanding people in Uganda. Often the accent was very thick and the level of English varied wildly. Still, in both places I was able to get the things that I needed, though sometimes it meant using a combination of mime and simpler words/concepts. Know what your one touchstone item from home is and make sure you have enough of it for the entire trip, especially if you are going to a country where everything is extremely different from your home country. While I traveled around the world, the one item for me was good tea. I love tea and while I was able to get pretty good quality in tea in Singapore, the tea in Uganda was terrible. I got very lucky because a friend came and visited to go on safari and I shamelessly begged her to bring me my favorite brand from home. She did, and having that morning cup of tea that tasted like home helped me get through the culture shock. I missed my loved ones the most but I was able to ease the feelings of loneliness and longing by emailing, video chatting and texting with them. I also sent them postcards of the places I visited and I kept a blog knowing that they would read it and know that I was okay and having an amazing experience. We also planned what we would do when I got home like who was going to pick me up from the airport and the details for my welcome home party. Knowing that my loved ones were waiting for me when I got home, that they missed me just as much as I missed them, and that I wasn’t going to be gone forever helped me get over the homesickness. My international internships focused on libraries and archives, but an unexpected element developed as I was working and that was preservation of information, especially in terms of physical objects like books and loose papers. Going to Singapore, where it is hot and humid, and to Uganda, where it is more environmentally moderate but there are severe economic and infrastructural concerns, really made me examine my career path and what I was finding interesting while I was in those places. I came back to the United States with a deep desire to know more about preservation of materials in places like Singapore and Uganda. To that end, I am applying to PhD programs to continue my exploration of this topic and also because after having been to those places, I want to do more. I want to develop materials, policies, and initiatives that will help with preservation of materials in similar environments. In the long term, this would mean teaching most likely, which is something that I enjoy. It would also mean doing more research and going to conferences abroad, again, most likely in the places that are similar to Singapore and Uganda so I foresee returning to Africa and Asia. JJ’s excellent response highlights her professional, proactive attitude to internationalizing her career. JJ has a clearly defined set of professional goals, which include spending more time abroad in Uganda and Singapore, and she is able to describe the contrasting approaches to library and archival work in detail. We would recommend that JJ continue on her path, immersing herself as much as possible into local culture when she travels abroad. She might consider organizing her future PhD work in a way that allows her to spend an extended period of time abroad. By going back abroad and networking socially and professionally, JJ may stumble upon even more exciting international opportunities in her field. JJ can also continue developing her international blogging hobby, and might enjoy researching some of the most popular travel blogs in order to find inspiration. JJ has a good understanding of the proactive attitude it takes to land in international position, and the Job Hunting During Your Internship article might inspire you to follow a similar path.